EnviroDEFENSE® Wastewater Complete is a specially formulated bacterial blend that aids in the removal of various contaminants in industrial wastewater systems. It is highly effective and economical, and continues to provide the ideal solution to wastewater clean-up due to ever-changing and demanding regulations. The naturally occurring bacteria formulated in EnviroDEFENSE® wastewater complete works by digesting organic waste materials to prevent malodorous situations and sludge build-up. 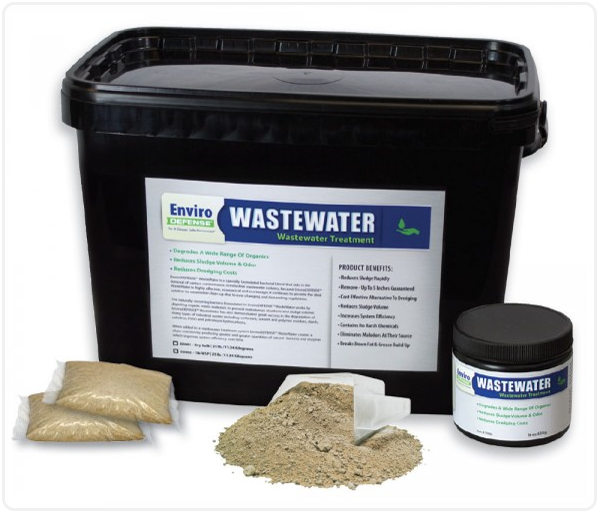 EnviroDEFENSE® wastewater complete has also demonstrated great success in the degradation of many types of industrial wastes including surfactant, solvent and polymerresidues, starch, cellulose, FOGS and petroleum hydrocarbons.